Applying strong force to your elbow may partially tear ligaments meant to hold bones together, causing you to sprain your elbow. When tendons or muscles responsible for allowing movement of your elbow are torn, your chiropractor near Rockefeller Center may diagnose you with a strained elbow. Like elbow dislocations and fractures, elbow strains/sprains produce swelling, bruising and severe pain. Acting as fluid-filled, protective cushions that reduce friction among tendons and muscles during movement, bursae can become inflamed when irritated by repetitive motions, injury and overuse. 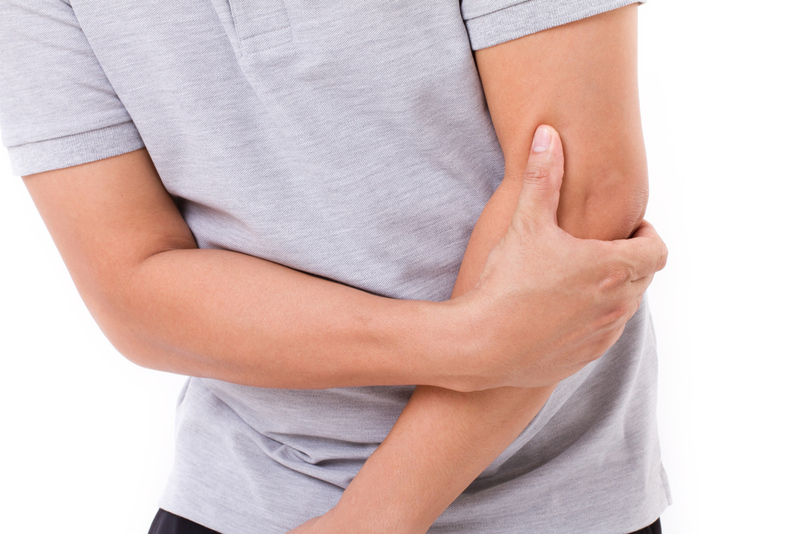 Chronic pain, swelling and reduced elbow flexibility are signs of elbow bursitis. X-rays may be recommended if chiropractors suspect bone spurs are contributing to elbow pain. When your elbow joint suffers excessive wear and tear, deterioration of cartilage progresses until osteoarthritis impacts the elbow joint, causing joint inflammation, pain, stiffness and reduced range of motion. Advanced elbow osteoarthritis is sometimes accompanied by a grinding sensation (crepitus) when the joint is moved and/or pain radiating up the arm and into the upper back. Inflammation of the tendons and muscles surrounding the elbow joint is often called "tennis" or "golfer's" elbow, although anybody moving their elbow repetitively can suffer these conditions. Pain on the inside or outside of your elbow occurs if the joint's soft tissues suffer inflammation from repeated overuse. Physical therapy, chiropractic care, therapeutic massage, acupuncture and strengthening/stretching exercises are effective treatments provided by your Midtown chiropractors for all types of elbow pain. To schedule an appointment for pain relief with an integrative medical doctor, call Rockefeller Health Medical in New York today at (212)-388-5050. We are located in the 10036 zip code area.